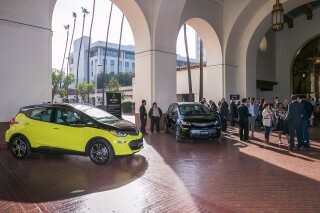 Chevrolet this week recalled three to four months worth of production Bolt EVs and Volt plug-in hybrids over a potential brake issue that could increase stopping distances of the small vehicles. 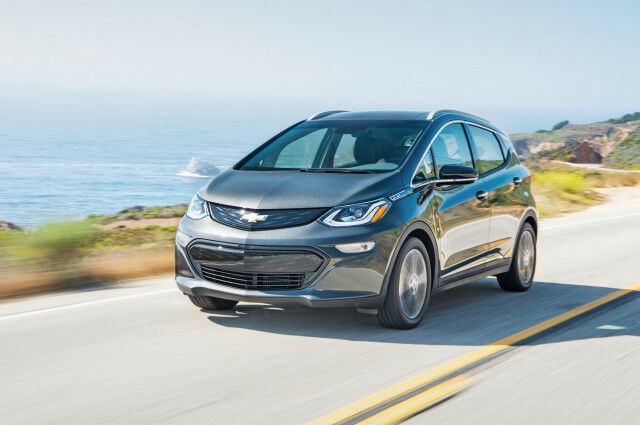 The recall affects 2018-2019 Chevrolet Bolt EV and 2018-2019 Volt models sold in the U.S. and Canada. General Motors' filing with federal regulators doesn't specify the number of cars or say when owners should begin receiving mailed notices for the proposed fixes, and Chevrolet was unable to confirm those details immediately. Affected Bolt EVs were produced between March 27, 2018 and July 17, 2018 and affected Volts were produced between March 27, 2018 and June 20, 2018. According to GM, rear brake pistons that were improperly chromed and tempered could leak and trap hydrogen gas in the brake lines and could lead to soft or spongy brake pedals. The faulty brake systems could stretch braking distances of the affected models. Officials said drivers should notice the spongy brake pedal within 15 days of the vehicle's assembly. 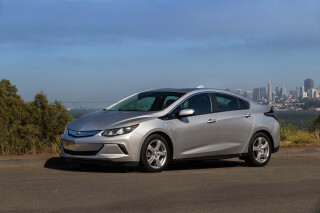 Dealers were instructed to bleed the brake system to relieve any trapped hydrogen gas.In its filing, GM said it was not aware of any crashes or injuries related to the defect. The defective brake pedals are part of a larger recall affecting Mercedes-Benz vehicles and could be related to a similar recall by Fiat Chrysler Automobiles. German supplier ZF said it was aware of the issue, but in its filing GM said the supplier did not notify it that the issue could affect Chevy, Buick, GMC, and Cadillac vehicles. GM issued the recall this week for more than 230,000 vehicles that also included Chevrolet Cruze, Equinox, Impala, and Malibu sedans and crossovers; GMC Terrain crossovers; Buick LaCrosse, and Cadillac XTS sedans.